The Annual Reports of Fourth Presbyterian Church and of Chicago Lights are published in the spring/summer of the following year. The Sacrament of Baptism, which occurs on the second Sunday of each month, is the sign and seal of God's grace and covenant in Christ. Past worship bulletins are available here. 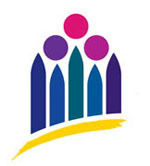 The Career Transitions Center of Chicago, of which Fourth Church is a sponsoring organization, is a non-profit organization which provides professional assistance to those in employment transition. Fourth Church is a founding congregation of the Covenant Network, which seeks to work toward a church as generous and just as God’s grace. Daily devotions are written by Fourth Church staff and reflect on assigned readings that will take us through the entire Bible in 2012. Sign up to give a one-time or recurring gift to Fourth Presbyterian Church. Prayers of the People combine thanksgiving and intercession for the community and the world and are offered every non-Communion Sunday service. Fourth Church is a congregation of the Presbyterian Church (USA). 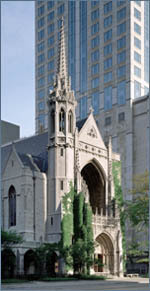 Fourth Church is a congregation of the Presbytery of Chicago. The Chicago Lights Elam Davies Social Service Center helps meet the basic human needs of food, clothing, and a caring community for more than 1,600 adults annually who are hungry, homeless, or in transition. Members may update their contact information here. Is your church's youth group interested in visiting Fourth Presbyterian Church? More information is available here.